Postgraduates form a significant part of the student profile in universities, but due to the nature of postgraduate study there are often distinct challenges and opportunities for student engagement activity. Whether taught postgraduates (PGTs) such as Masters students or research postgraduates (PGRs) such as PhD students, postgraduates’ experiences differ in many ways from the undergraduate learning experience. PGT students often study on one-year courses and include large elements of independent learning and research-based activity. PGR students do not enrol on courses like in a taught environment, and often have staff contracts and teaching responsibilities. Moreover, postgraduate communities often have high levels of part-time or distance learning study and large numbers of mature and international students. These factors present questions for how such students’ experiences can be captured in quality processes and representative structures, and what engagement and partnership mean for postgraduates. sparqs is undertaking a range of work to contribute to these conversations. 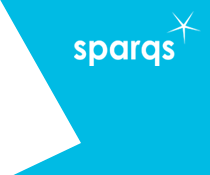 In 2017 sparqs produced resources for delivering Course Rep Training to PGT students, which institutions and students’ associations can use to develop customised, locally relevant training for PGT course reps. Over the summer of 2018 we are evaluating and revising this material, and are keen to hear from institutions willing to support this work. Meanwhile, in 2018 sparqs is running a project exploring various dimensions of PGR student engagement. We are being guided by a working group made up of sector practitioners, and you can find out more about this in our March 2018 news article. If you would like to be a part of the working group please contact us. For more information on any of this work please contact Simon Varwell.